Tokoname is located about 40 minutes by train south of Nagoya on the western side of the Chita peninsula, overlooking Ise Bay. 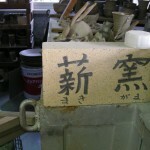 A small city with a population of about 52,000 people, Tokoname manufactures machinery, textiles and brews Japanese sake. Mr Akio Morita (the co-founder & former chairman of SONY Corporation) was the first born son of a family that have been brewing sake in Tokoname for more than 400 years, and it was initially intended that he would inherit the business. 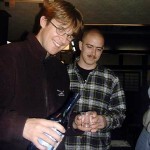 A sad loss of sake was a gain for electronics, but fortunately Akio had a younger brother and the sake brewing continues. The largest industry in Tokoname by far is ceramics, as Tokoname is famous for being one of the so-called Six Old Kilns of Japan – the other five are Seto, Echizen, Shigaraki, Tamba, and Bizen – which have been major centers of ceramics production since the Kamakura period. 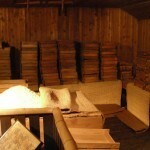 There have been kilns in use in Tokoname possibly since the later stages of the Heian period. Ancient kilns have been discovered all over Japan, from Hiroshima to as far north as Aomori Prefecture – but the number of kilns counted in Tokoname number over 3000, more than any other area of Japan. 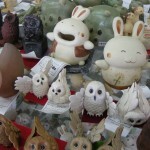 Of the six old kiln towns, and the many other minor ceramic centers, Tokoname is perhaps the best in that it is the least touched, and most atmospheric ceramic town in Japan. With a history nearly 1,000 years old, it is still filled with old wooden buildings (with walls blackened from the soot of charcoal, then coal and oil) and narrow winding streets. 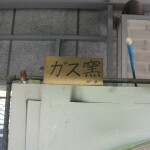 These days the kilns are fired using natural gas or are electric, so the air in Tokoname is the best it has probably ever been. 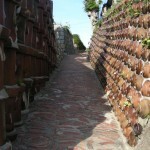 We will do a walking tour, and visit a famous Noborigama, a wood/charcoal fired “climbing kiln” that uses a technique said to be introduced from Korea. 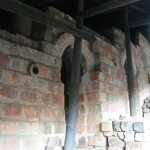 The very high temperatures inside these kilns provided masterpieces. On the way, we visit a fascinating museum (the former home of a family who owned a local shipping firm). 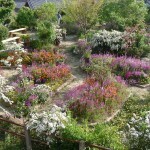 The topography of the town has been drastically changed since the Edo Period by land reclamation. The house we visit used to be a stone’s throw from the waterfront, but now is about 2 kilometers inland. The largest reclamation project was for the airport. 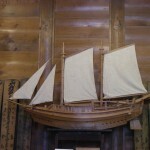 The museum is fascinating, given a good glimpse of what life was like during the Edo Period for a prosperous merchant. In addition to charging fees for transporting goods to Edo and around the Ise and Mikawa Bays, the family also operated warehouses and traded on their own account. 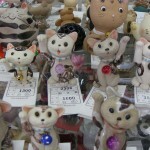 Ultimately they were put out of business when Japan was re-opened to foreign trade and technology. Conversion of the business to steamships required more capital than was available. 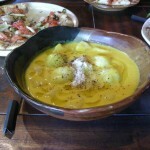 After lunch (and the lunch is seriously good! 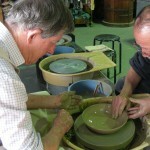 ), we spend time making ceramics in the workshop inside the home of a master potter. 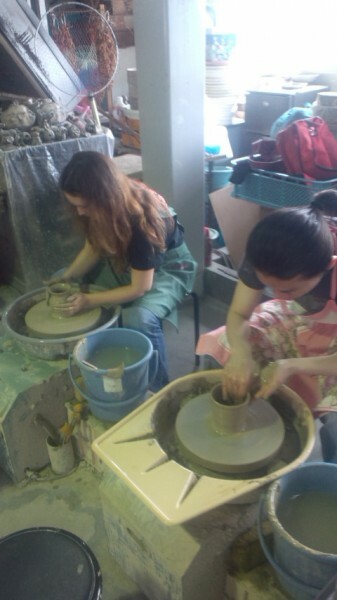 It takes many decades of experience and learning to become a master potter, but in just one day, with a bit of help from sensei, you will be able to make anything from a tokkuri for sake, flower vase, perfect rice bowl etc. 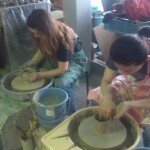 We will also arrange for the ceramics to be shipped to you after they have been fired in the kilns. 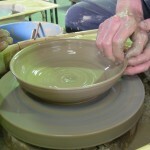 The clay and lesson (as well as shipping – to anywhere in the world) is included in the participation fee. 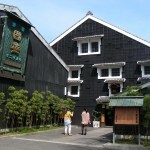 From Tokoname, we head to nearby Handa, and visit the Kunizakari Sake Museum. 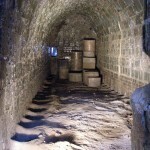 Located on an inlet on the eastern side of the Chita peninsula and connected to Mikawa Bay, the sake brewers of Handa prospered during the Edo Period by shipping high quality sake to the thirsty population of Edo (now Tokyo). 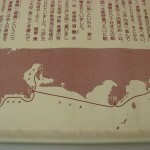 While sake is brewed nationwide, the 4 major sake brewing areas during the Edo Period were – Hiroshima (western Japan, on the inland sea), Nada (Hyogo Prefecture, just east of modern Kobe, also on the inland sea), Fushimi (just south of Kyoto, at the tidewater mark and connected by river trade with Osaka and Lake Biwa), and Handa in Aichi (connected to Mikawa & Ise Bays, the ports of which these days host more than half of Japan’s seaborne trade). Each of these four areas have fairly similar climates and latitude, and as all were near the coastline, it was relatively easy to ship the product by sea. Of the four, Handa was the easternmost, closest to the new city of Edo, and the only one of the four from which ships did not need to sail around the treacherous waters of the Kii Peninsula enroute to Edo and eastern Japan. This was a major advantage for Handa based sake brewers, because in the century after the Battle of Sekigahara, Edo grew rapidly to become one of the world’s largest cities. The museum itself is fairly small, but contains a fantastic collection of items from the Edo period brewery, and at the end of the tour, a small bar when you can sample the products of the modern brewery. 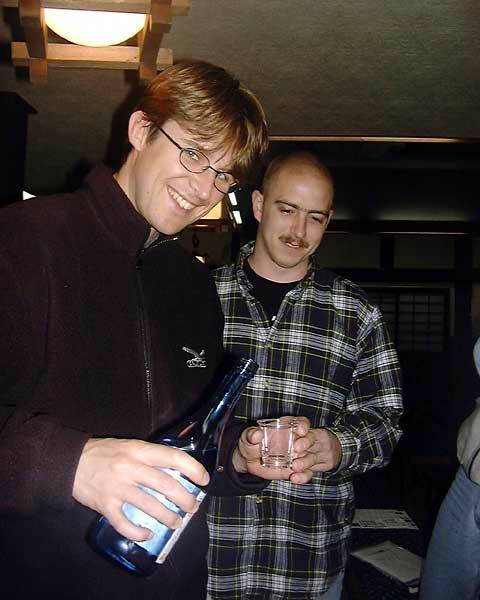 These days Nada and Fushimi produce close to half the sake brewed in Japan, but regional brewers and craft brewers have been making a comeback. The tasting is free, and the shop next to the bar is a great place for souvenir hunters. Kanpai! 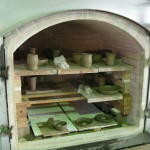 Preparing the kiln for firing. Kunizakari Sake Museum, Re-construction of fermentation room.